Nikki Iles, jazz pianist and composer, was a founder member of the innovative Creative Jazz Orchestra - working with Anthony Braxton, Mike Gibbs, Vince Mendoza and Mark-Anthony Turnage. Her busy freelance career has found her playing with Peter Erskine (CJO), Kenny Wheeler, Art Farmer, Julian Arguelles, Stan Sulzmann, Norma Winstone, Dave Holland, Tina May, Tony Coe, Joe Locke and Rufus Reid. Although well known as a pianist , composition remains a major part of her musical life with commissions including The London Sinfonietta, The London Philharmonic's Renga and The National Youth Jazz Orchestra . 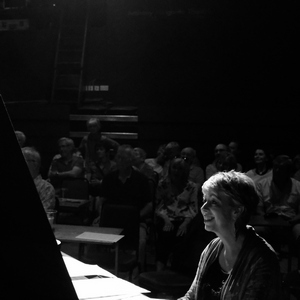 With a parallel career as a widely respected teacher, Nikki is Professor of Jazz Piano at the Royal Academy of Music and Middlesex University as well as giving masterclasses around the world. She has been a driving force behind the Jazz syllabus at the ABRSM and continues to publish with Oxford University Press. New Album with Stan Sulzmann - "Stardust"
"This intimate recording is a rare chance to hear two of the UK's most respected jazz musicians playing tunes they love. Jellymould is proud to be releasing this beautiful record." Despite a long-standing musical friendship and frequent collaborations, it has been almost 20 years since Stan and Nikki recorded their first album "Treasure Trove" together. Their new offering, "Stardust", celebrates a shared love of songs, as well as featuring an original composition from each. Listen to Nikki and Tina May perform Donald Fagen's "On the Dunes.